Over the winter, 33 students from SHS went to Le Moyne College to compete in the DECA Regional Competition. These students spent many hours afterschool learning business content and preparing to apply their knowledge to real-life business situations. Their hard work after-school paid off with great performances in their events. A total of eight SHS students won awards this year in their category. In individual events, Gabe Young earned fourth place, Nick Lopez, Noah Monty, and Brianna Williams each took third place, Myah Platler won second place, and Avery Sladick won first place. In team events, Brandon Falcone and Nate Neyhart placed third. In addition to these awards, the SHS DECA group also won the Penny War fundraising event again this year. At the regional event, elections for regional officers were held. 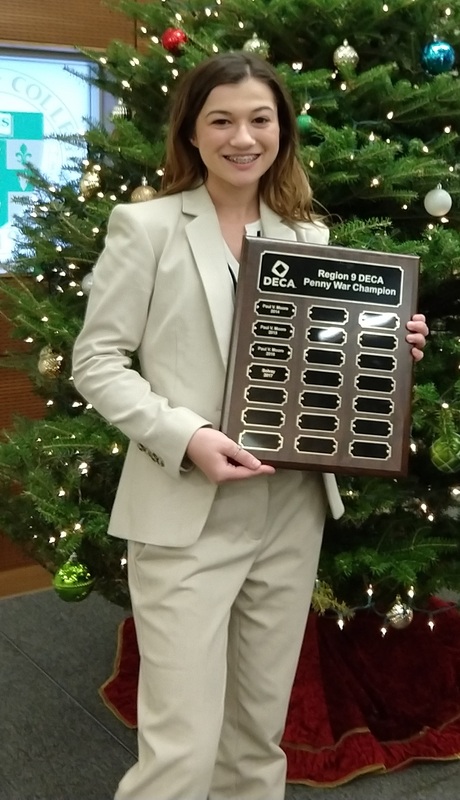 SHS student Anna Luckette was elected as Vice President (representing 11 schools in our region) and will preside over the regional competition next year. 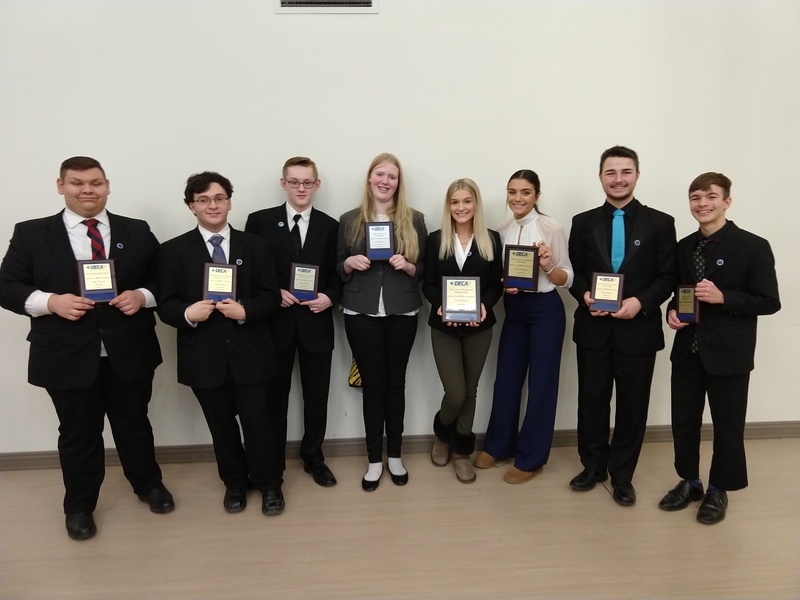 Twelve students will go on to compete at the DECA State Career Conference in early March. Event winners Gabe Young, Noah Monty, Myah Platler, and Avery Sladick will be joined by Justine Stanejko, Ty Martineau, Elijah Wright, Anna Luckette, Isabella Macaulay, Hannah Martineau, Amer Lazraus, and Rylie Dwyer. They will compete in roleplay events or present major projects in Rochester, NY. We wish them good luck!